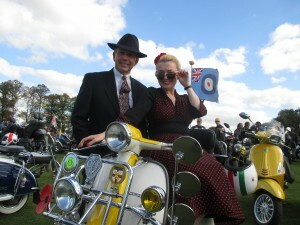 Singing for Vale and The Sand and Motorcycles Rally! Paul and I At Sand and Motorcycles! I’m sorry but it’s going to be a slightly shorter blog tonight only because I’m late getting onto the internet. Facebook was down earlier tonight and I’ve had a lot of e-mails to write – however all is working well now so I shall crack on. Since returning from France I’ve had a busy weekend and I’m so pleased so many of you enjoyed my last blog reading about my travels. This weekend Paul and I were performing locally in and around my home town of Leighton Buzzard. All set to go on stage in my Aspire Style Gown! On Saturday night I was singing in Pitstone at the Memorial Hall for the Vale Musical Society. I use to be a member of The Vale Gilbert and Sullivan Society as they were then back in the late 80s early 90s. My first production for Vale was Gigi when they cast me in the title role, I had just turned 20. I then went on to play Mable in the ” The Pirates of Penzance” and Casilda in “The Gondoliers”, happy days! In 1991 I left to go up to Blackpool and became a Red coat before becoming a full-time professional singer. I owe a great deal to Vale so it was wonderful to be invited back. They had engaged me to perform my Swinging 1950s and 60s show and I was so pleased Paul was able to join me on stage. We had encore after encore and I don’t think Vale wanted us to leave so thank-you so much Jackie for booking us. It was so lovely to see you again and see so many old friends from the past. 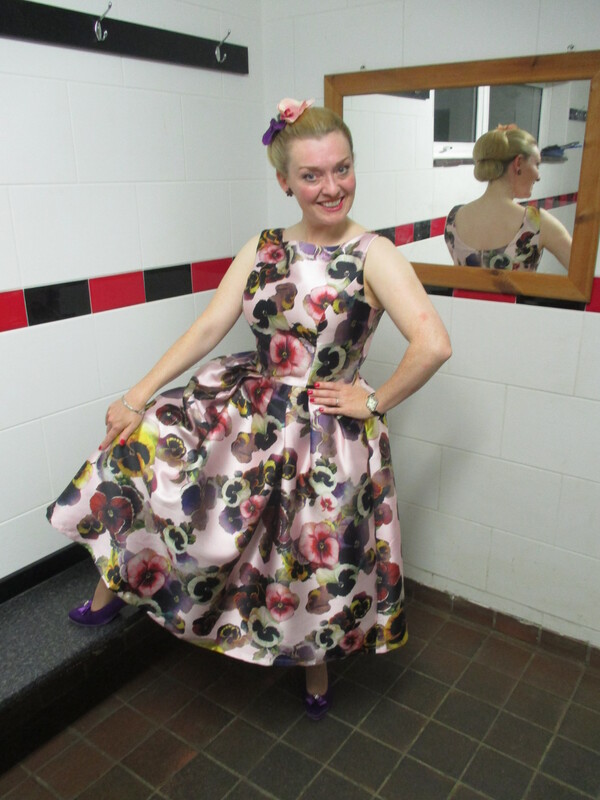 On this occasion I wore my beautiful pansie dress which is very early 60s. Some of you may remember this is the dress I sang for in July. I had been working in Birmingham and popped into Aspire Style in Stratford Upon Avon. They needed a singer at short notice for their promotional night as the artists booked had had to cancel. Money was tight but the shop was able to pay me in dresses which was fine by me. They even through in a new pair of vintage sun glasses so it makes my pansie dress a little special. 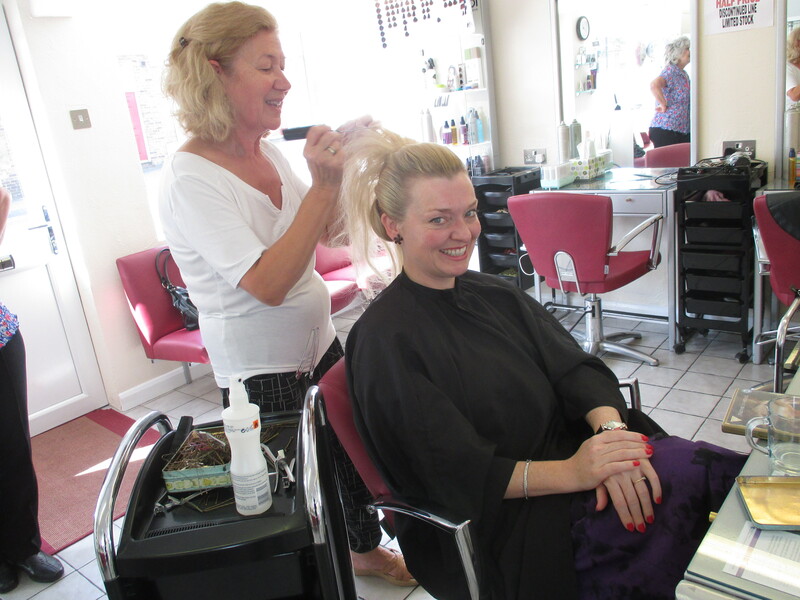 I even had my hair done Grace Kelly style thanks to Angela which really made me look the part. 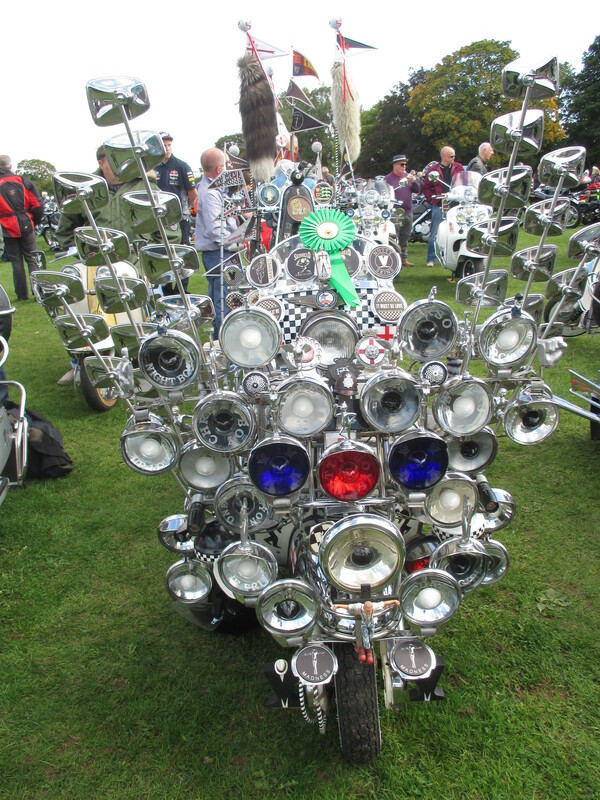 Have You Ever Seen a Bike Like It? 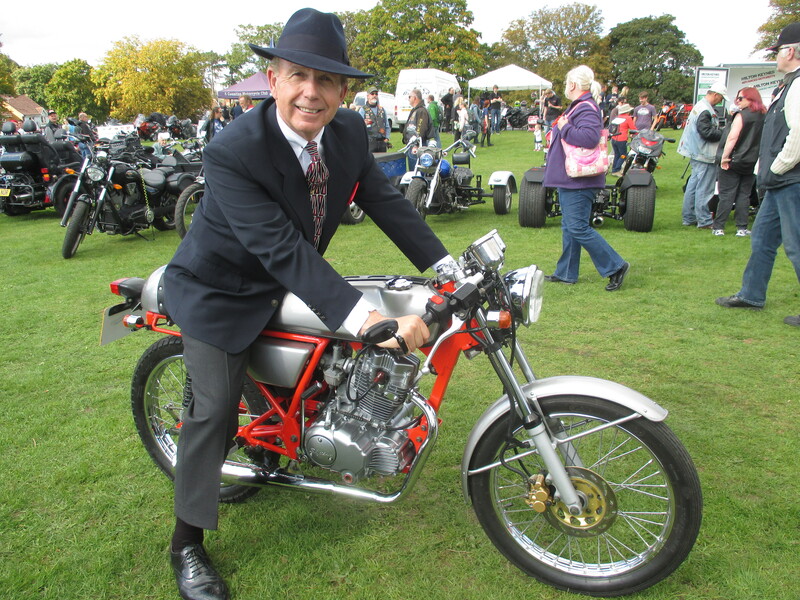 Come Sunday Paul and I were performing for the Leighton Buzzard Narrow gage Railway as they staged their Sand and motorcycles rally in Pages Park. I was booked to do an hours set of 40s 50s 60s from 11am. 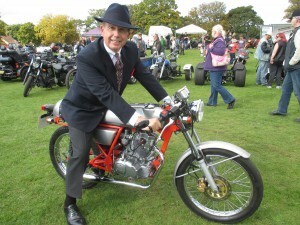 The park was packed with motor cycles and it was a brilliant event as the sun shone all day. I liked the Mods and their scooters best and one bike was completely covered in mirrors and lights sear Madness! They also had the band “Retroflections” playing so a jolly good time was had by all. There must have been over 1000 bikes there and the little train was running all day. Tomorrow I’m back in uniform performing the 40s and then on Saturday night I shall be performing in the village of Nether Whitacre for a 1940s evening. More on that later. That’s all my news for now Keep Watching and Toodle Pip!